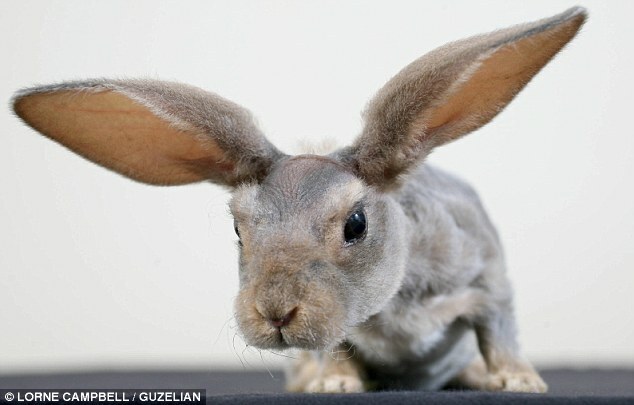 A rabbit born with a normal amount of hair has confused doctors after it appeared to show signs of a condition that only exists in dogs. Delta-Mouse appeared just to be the runt of the litter when he was born six weeks ago, but when his fur started falling out owner Debbie Ikin from Horwich, Greater Manchester, realised something was amiss. 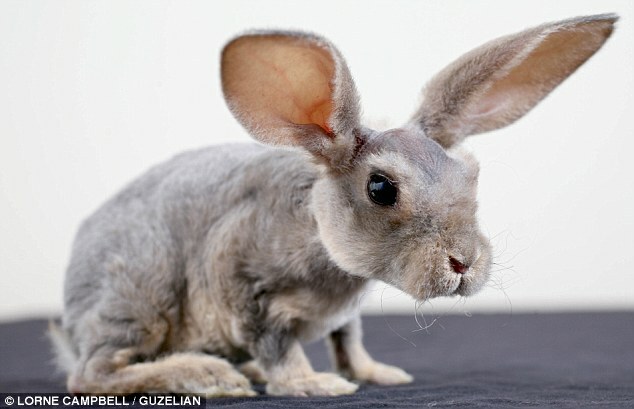 When she took the pet to the vet, she discovered that he had pituitary dwarfism. His condition, which caused his fur to fall out all over except from his head and feet, had only been seen before in German Shepherd dogs, the vet said. 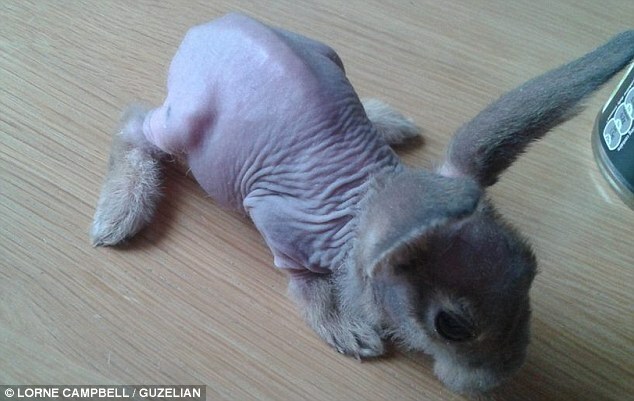 Ms Ikin, 40, said: 'I thought he was the runt of the litter with a skin condition. 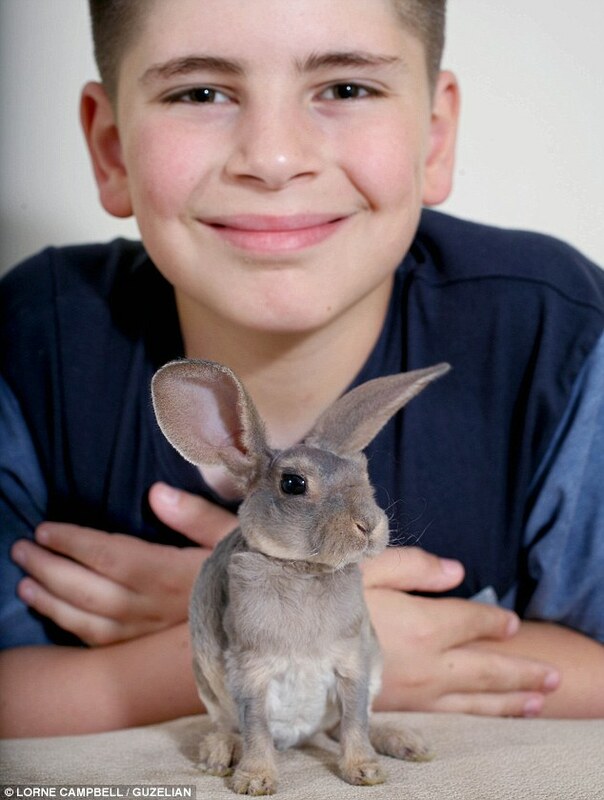 I have grown up around rabbits and we have had several litters but I've never seen anything like Delta-Mouse. After being checked by the vet, he was declared perfectly healthy. Ms Ikin said the vet decided not to take a blood sample from the tiny creature as it might make him anaemic, so she has been keeping a close eye on him instead. 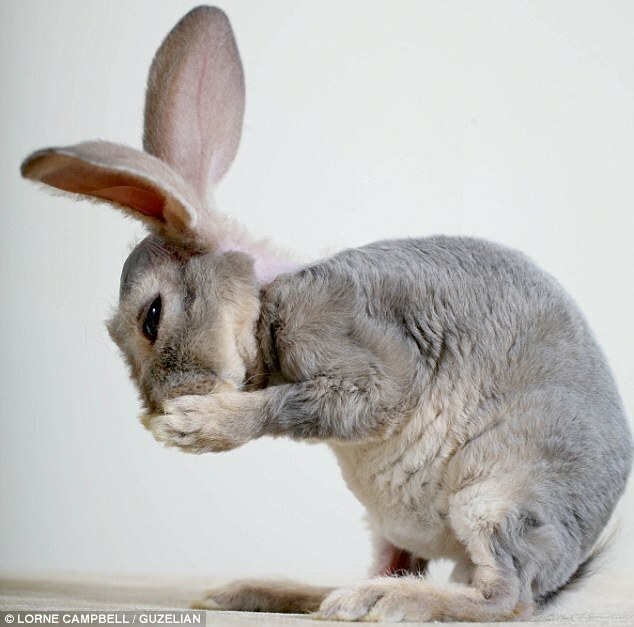 The rabbit's eyes need bathing every morning to help him open them because they get stuck together over night. And when out in the sunshine, Delta-Mouse must be lathered in factor 50 suncream to protect his sensitive skin. 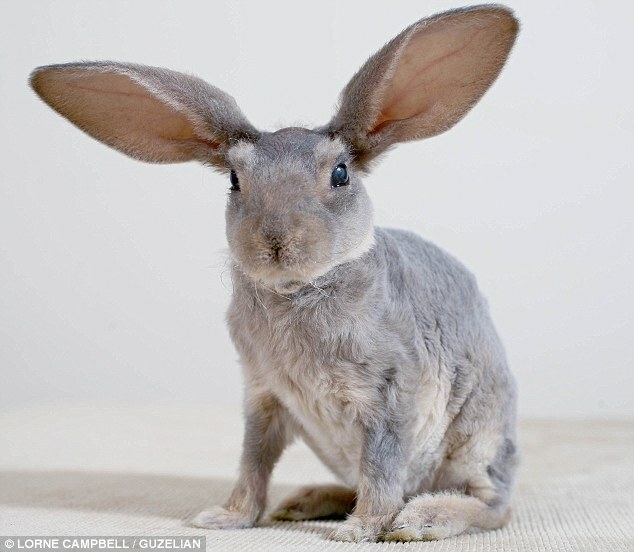 The rabbit has astounded both his owners and vets by becoming stronger by the day. 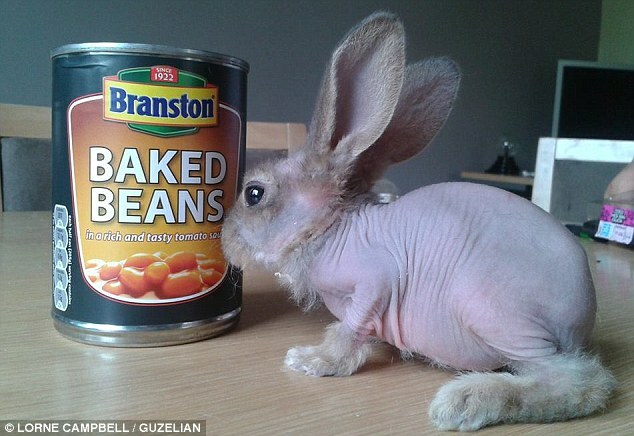 His hair has regrown on his body, but he still has bald patches on his the back of his head and the top of his feet. 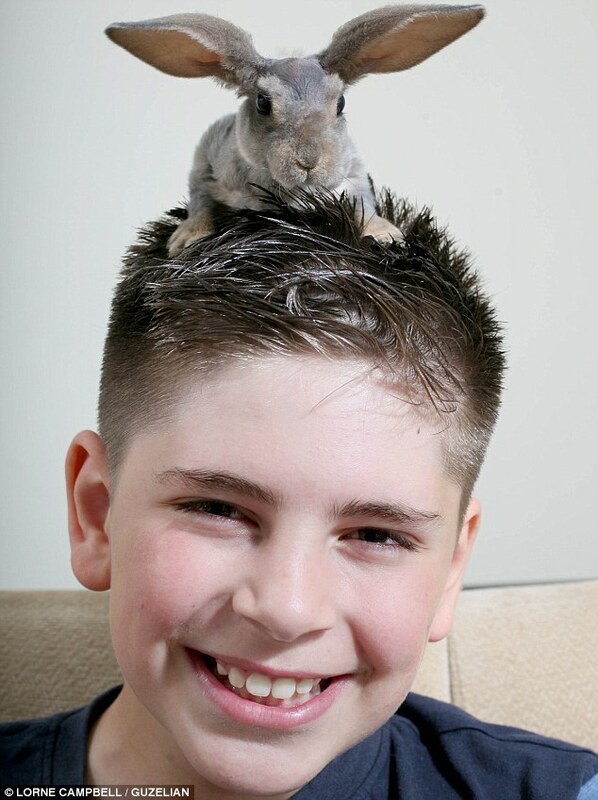 Ms Ikin's son Jacob, 10, loves his new pet and after naming him Delta when he was born, added 'mouse' to the end due to his small stature. The ten-year-old has been scared to hold him at times because he is so precious. Ms Ikin said: 'He's thriving and very spritely. He's super friendly and loves to sit on your shoulder. Ms Ikin's breeding pair Junior and Stitch have produced a number of litters as well as being parents to Delta-Mouse. While she is hoping to sell the other members of the litter, it's sure that Delta-Mouse won't be going anywhere. Ms Ikin, a catering assistant, said: 'Delta-Mouse has become a member of the family, we're completely taken with him.